GA’s recently introduced ‘One Side Fix’ 10/12mm glazing channels are now available with end blanks that neatly cover the profiles open ends. 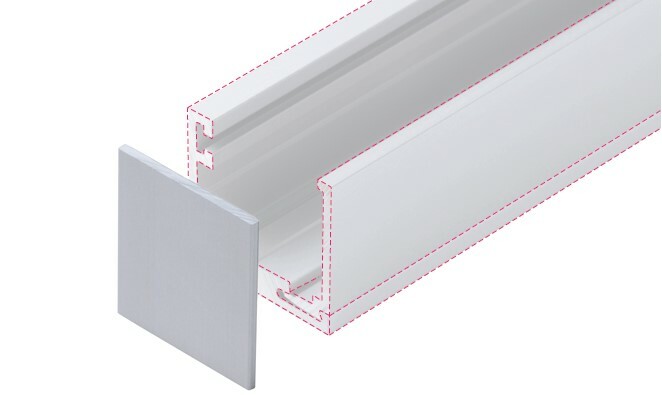 Aluminium Glazing Channels with pre-fitted gasket to one edge, allowing it to be fixed when access is limited to only one side – Ideal for glass walls, etc.. The end blanks (with applied self-adhesive tape) match the natural anodised or white powder coat surface finishes of the glazing profiles. 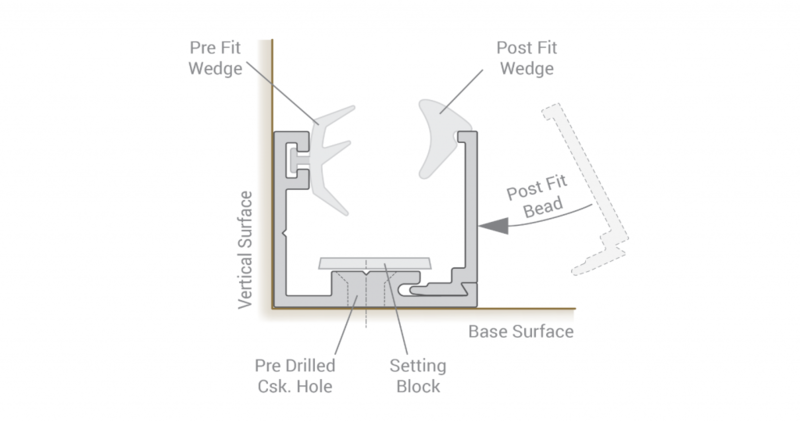 GA’s new ‘One Side Fix’ 10/12mm glazing channels offer a practical solution for the installation of glass panels against walls and other vertical surfaces, where access for fixing is only available from one side. 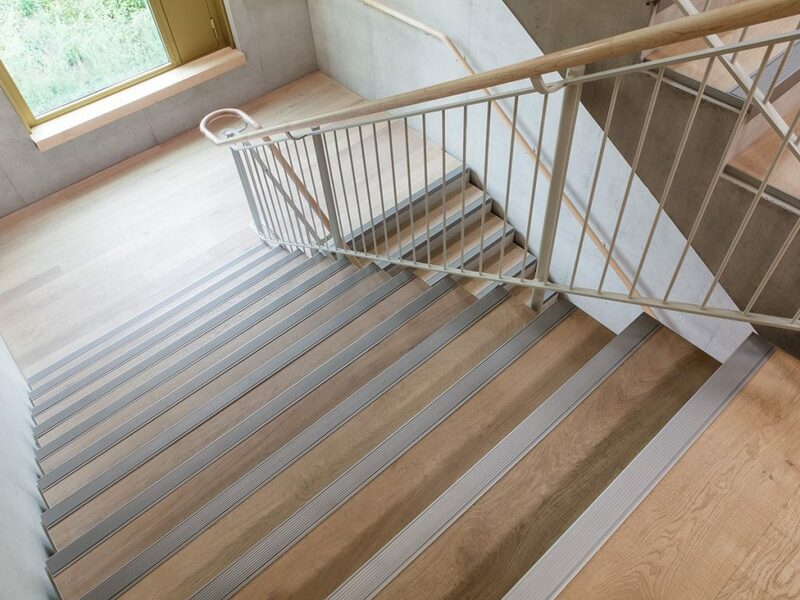 A new video for design professionals and flooring contractors, has been released to aid in the installation of our ‘invisibly’ fixed Premium CMS range of Aluminium Stair Nosings intended for use with ceramic, marble and stone surfaces. Detailing the components and accessories required for a successful and long-lasting installation this fast-moving video encapsulates what you need to know within a 75 second time frame. Intended for interior applications GA’s invisibly fixed Premium CMS Nosings are produced with a specialised back edge design that fits underneath the adjoining ceramic, marble or stone surface. 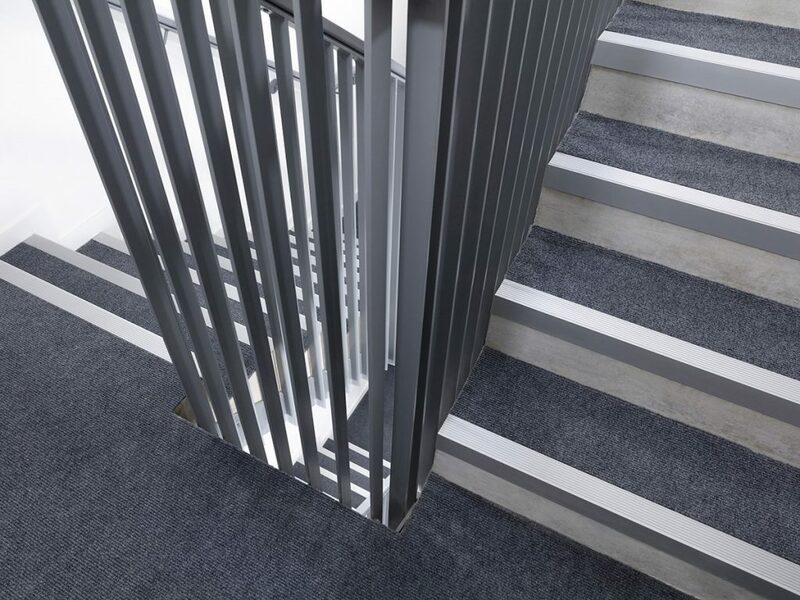 Combining aluminium alloy stair nosings with an anodised surface makes for a durable wear resistant finish that has recently been subjected to independent testing. A summary of the impressive test results can be viewed on the relevant website product pages. Construction of Phase II of the award-winning Brentford Lock West development is taking place alongside the Grand Union Canal in West London. Internal escape stairways in this stylish and contemporary scheme have been fitted with GA’s new generation Economy Aluminium Alloy Stair Nosings. The selected natural anodised surface finish contrasts well with the dark coloured corded carpet used on the stairs and landings. The finishing touches are being applied to Sevenoaks School new Science & Technology and Sixth Form Centres. GA’s Premium Aluminium Alloy Stair Nosings are being fixed to oak hardwood staircases in this magnificent 3 storey workshop complex. 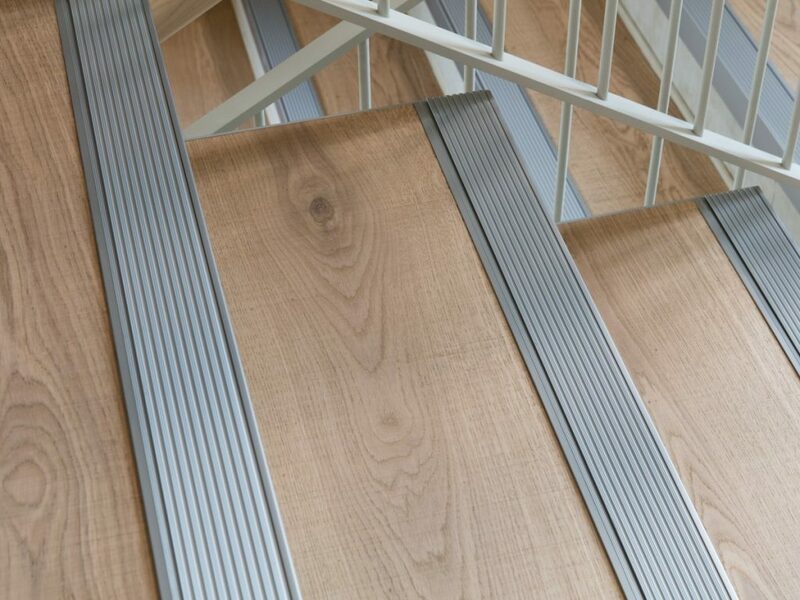 Specified in the natural anodised finish these hardwearing* nosings/treads are available with alternative back edge options to suit different kinds of flooring. On this occasion the lipped back edge design (GA 1407s) was selected to provide a suitable transition between the levels of the tread surface and the wooden flooring. Combining elegance and durability*, these ‘invisibly fixed’ aluminium alloy profiles, are available from stock in natural, natural/black and black anodised finishes. Our custom-made perforated ceiling trays have recently been installed in the Holywell Centre. This new office/studio development is located in the historic Shoreditch area of East London. 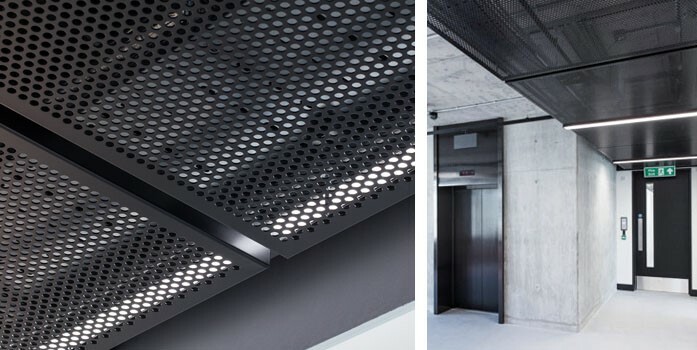 Perfectly complementing the building’s contemporary style finishes, the perforated aluminium is polyester powder coated in Signal Black.